The Lyrid meteor shower will peak early in the morning on April 22. Get ready for a different type of April shower. The annual Lyrid meteors can be seen every April. This year, the meteor showers will begin on April 16, peak on April 22 and end on April 28. While they might not be as well known as the famous Perseids or Leonids, the Lyrids are one of the oldest known meteor showers and have been observed for more than 2,700 years, according to NASA. The Lyrids are named after the constellation Lyra, or the harp. The constellation is the radiant, or the point from which the meteors appear to originate. Lyrids appear to radiate out from the star Vega in particular. But don't look at Vega or the constellation to find the meteors. 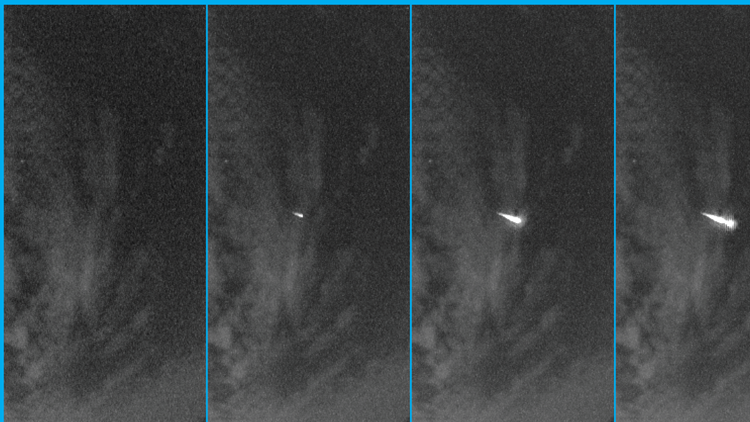 According to NASA, you'll miss the long tails of the meteors if you look directly at Lyra, an effect called foreshortening. The constellation isn't actually the source of the meteors. They come from the comet C/1861 GI, or Comet Thatcher. The comet is named after A. E. Thatcher, who first discovered it in 1861. All meteors come from leftover comet particles. When comets travel around the sun, they leave a dusty trail of particles behind. When the Earth passes through these trails during its orbit, the debris burns up and disintegrates in the earth's atmosphere, which we see as meteors. If you want to see the Lyrids this month, find an area away from city or street lights and lie down to look at the sky. It's best to do this during the dark areas after the moon sets but before dawn. It will take about 30 minutes for your eyes to adjust to the dark, but after they do you will begin to see the meteors. Stay away from your phone; the light from the screen will prevent your eyes from adjusting to the dark. The best day to see them will be early the morning of April 22. NASA meteor expert Bill Cooke told Space.com that this year, only the brightest meteors will be visible. An almost full moon will wash out the rest of them. The average shower will produce 15-20 meteors an hour. Cooke says that stargazers can expect to see up to 20 an hour this year, but in some years up to 100 were seen per hour.